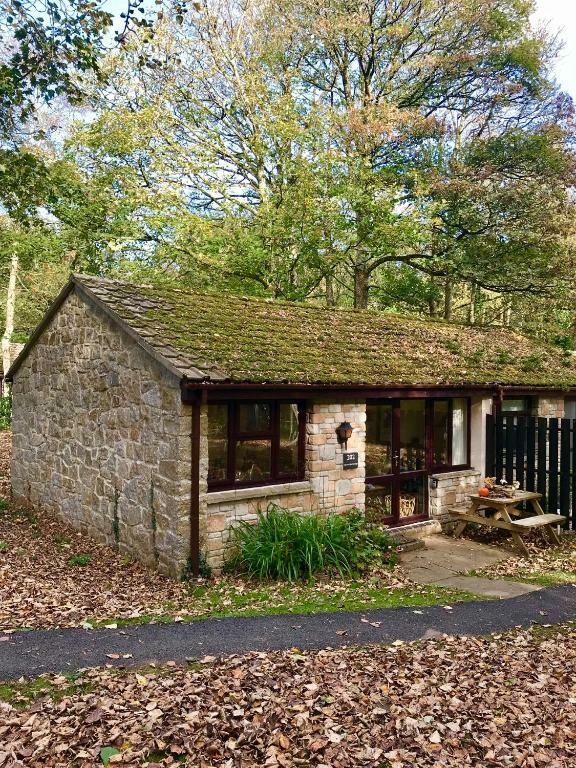 Lovely, quiet location - perfect for a short winter break. Rosie was very helpful. Solved all issues we had and suggested places we should visit. The location is really good - close to St. Ives and Hayle (highly recommend Gwithian Beach it's awesome!). Lovely attentions from the host, who was kind to leave us the basics for a great first breakfast and was present and attentive throughout our stay. 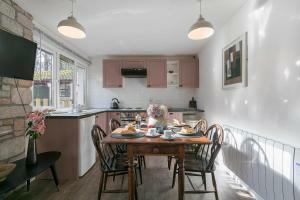 The cottage has really lovely interior design and really was perfect for 3 adults, with a much appreciated kitchen/diner. Despite being located within a holiday village, the surroundings were very peaceful despite our stay happening during the Easter holidays. Great place for children and dogs. Very quiet. Had all the amenities. Close to St Ives. Such a beautiful and relaxing place! 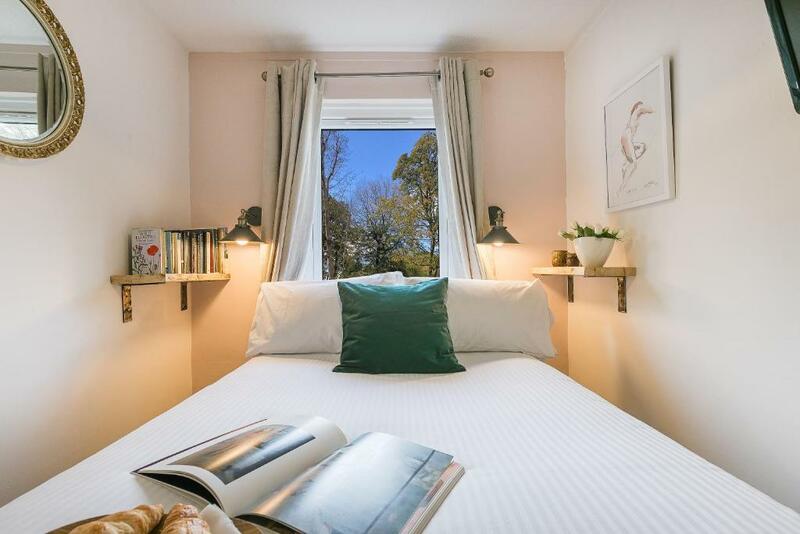 Perfect for families with children... A shame we could only stay for 1 night. Will definetly come back! Lovely welcoming touches. Well equipped. Great communication and service from Rosie. 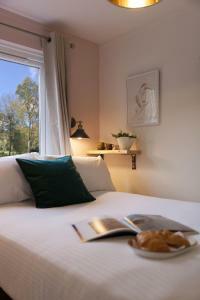 Cosy apartment, with cooking facilities and a restraunt on site too. Pet-friendly was a plus. Very helpful host message re places to visit etc. Kindly left flowers, cakes and milk - tea/coffee etc available too, all very nice and convenient to arrive to. Well equipped with dvds etc which was great. Nice location. Nice, clean, well presented property. Rosie was very helpful and attentive to us. 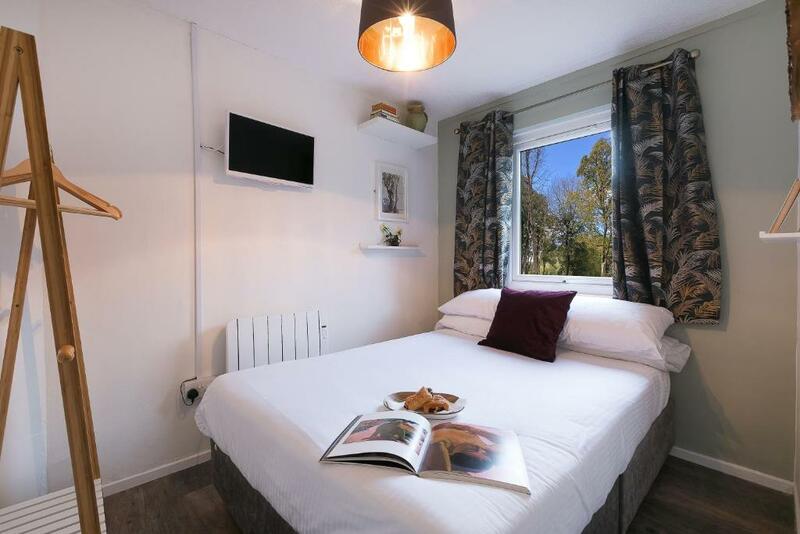 Lock in a great price for Cosy Woodland Home – rated 8.8 by recent guests! 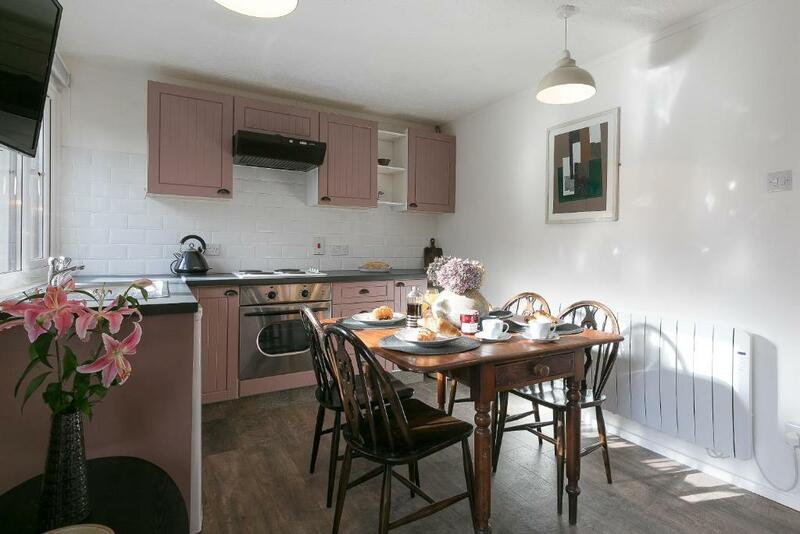 Located in Uny Lelant in the Cornwall region, Cosy Woodland Home features a terrace. This chalet provides accommodations with a patio and free WiFi. This chalet comes with a seating area, a kitchen with a dishwasher, and a cable flat-screen TV. The bathroom has a shower, while free toiletries and a hair dryer are also provided. St Ives is 5 miles from the chalet. 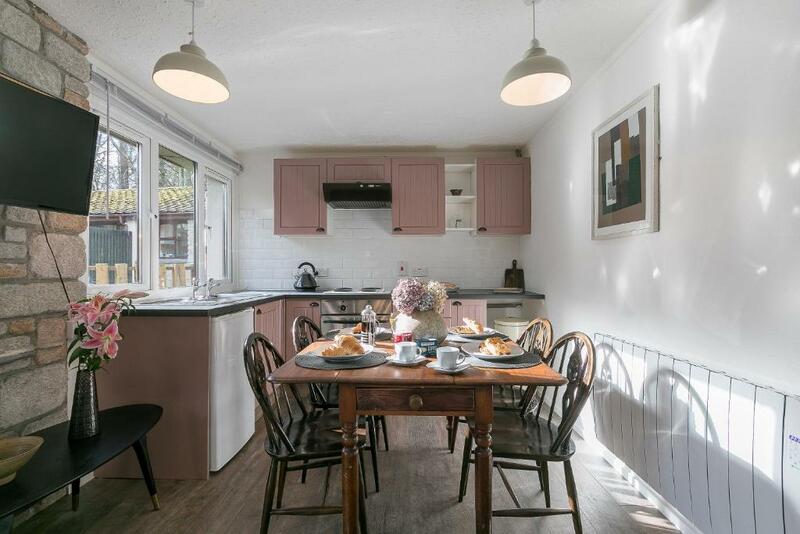 The nearest airport is Land's End Airport, 16 miles from Cosy Woodland Home. This property also has one of the top-rated locations in Uny Lelant! Guests are happier about it compared to other properties in the area. This property is also rated for the best value in Uny Lelant! Guests are getting more for their money when compared to other properties in this city. 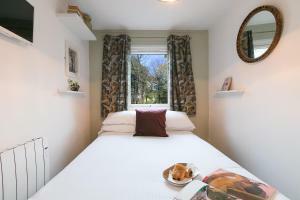 When would you like to stay at Cosy Woodland Home? This chalet has a kitchen and kitchenware. 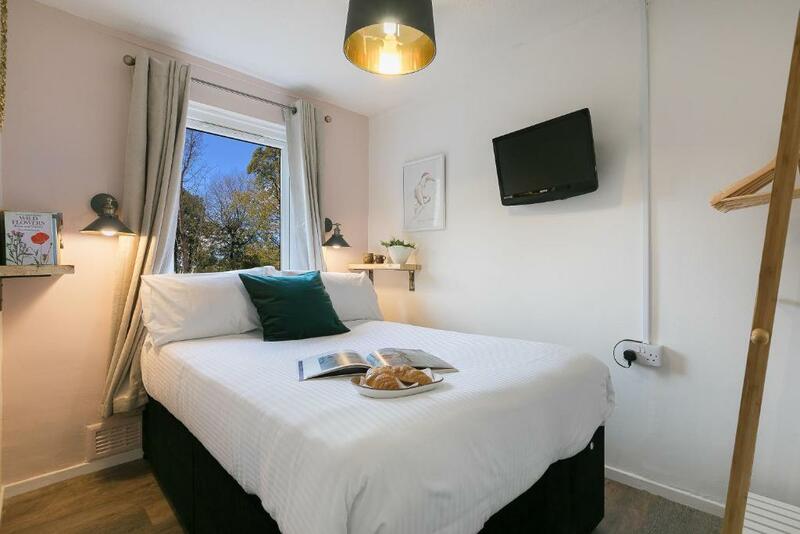 We love the position of our cottage - right near to St Ives and everything you may need but also away from the hustle and bustle of the town centre. 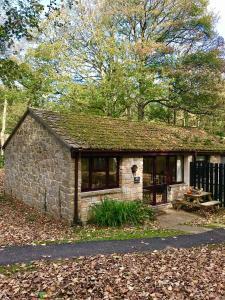 Our guests love the woodland surrounding the property and the fact that children and dogs can play freely. House Rules Cosy Woodland Home takes special requests – add in the next step! Cosy Woodland Home accepts these cards and reserves the right to temporarily hold an amount prior to arrival. Just to mention there's a little mess with photos in the offer - looks like mixed from two different places and it's difficult to identify what is what. We regretted that the mattresses were rather stiff spring mattresses,which did not make for a very comfortable sleep. It could be our personal preferences! It was fine for our 3 night stay but would be an issue for a week or so. Maybe mattress toppers would help? The double room had a strange smell. Could do with upgrading particularly the bathroom. WiFi didn’t work unfortunately. Bed linen on the double looked quite past its best which was a bit off putting. Couldn’t find hairdryer which was listed as present. The cottage being tucked away in the woods was perfect for us with dogs. Just being a stones throw from some of the best beaches in Cornwall (if not the best) makes it a great location. Brilliant value and so dog friendly! The hosts were also extremely helpful. Not a big issue but it took 10 mins to find the chalet at first as we knew the name but not the chalet number which would have made it easier. Card and welcome gift on arrival which was a lovely surprise. Very modern decor, clean, comfortable and warm. Great location for accessing all of the southern pennisular of Cornwall, both north and south coasts. Perfect size for 3 adults sharing - much better than 2 hotel rooms. Nice pub a very short drive down the road for great food. Have already rebooked for another trip! The cooker and hob settings have worn over time with repeated cleaning, so we had to work out what we were doing by trial and error. This wasn't a problem, but an advice note would have been useful so I've included this in here by way of a recommendation to help future guests. Would recommend trying to arrive in daylight, especially if not from the area as we had a little trouble finding it in the dark. Very relaxing time in a lovely location. The cottage was perfect for what we needed. Would definitely recommend!